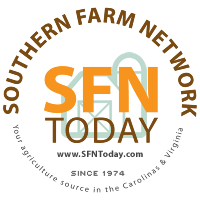 SFNToday.com is dedicated to serving the agricultural industry in the Carolinas and Virginia with the latest ag news, exclusive regional weather station readings, and key crop market information. SFNToday.com presents radio programs, interviews and news relevant to crop and livestock production and research throughout the mid-Atlantic agricultural community. Producers and suppliers realize that today’s information and technology play a major role in tomorrow’s success. SFNToday.com users can connect with each other and with the leaders in their field of Agriculture commissioners, extension service specialists, research field agents, professional association members, and suppliers. Southern Farm Network and SFNToday.com are part of Curtis Media Group, one of the largest independent radio broadcasters with 25 radio stations and 70 affiliates reaching more than two-million weekly listeners and serving over one-thousand advertisers annually.